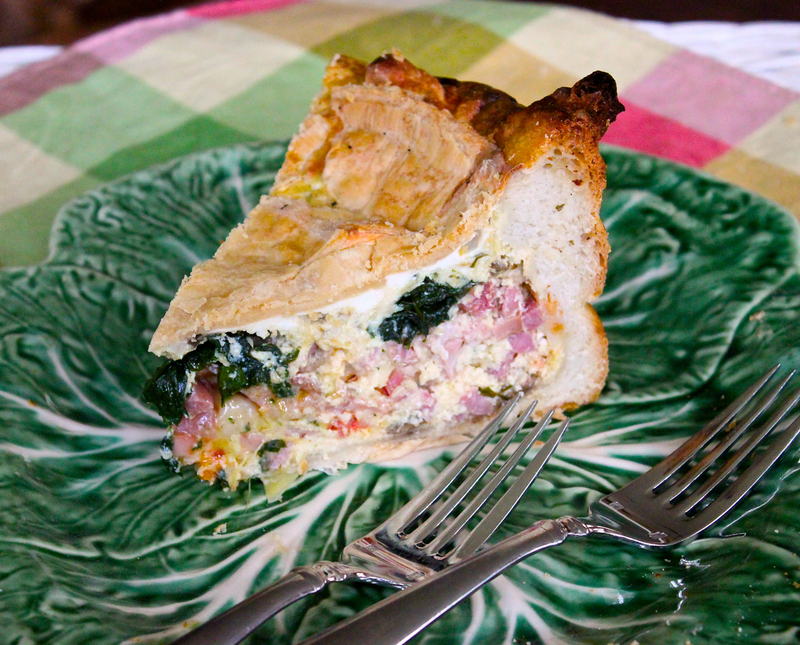 Torta Pasqualina or Italian Easter Pie is a quintessential Italian specialty to celebrate Easter! To celebrate Easter, preparing a traditional, classic Italian Easter Pie (Torta Pasqualina) is a must for most Italians. This is truly one big mama of a torta/pie. Certainly so massive, time-consuming, and expensive in ingredients, that it is saved only for special celebrations such as Easter . . . this is not your average weekly or even monthly pie/torta! If this is your first time baking a traditional Italian Easter Pie, know that there is quite a bit of time work involved . . . you might even want to enlist some family or friends into the kitchen to help you with the grating and the slicing of all the ingredients. This is one labor of love! Made to feed a crowd, Italian Easter Pie is massive, hefty pie packed with literally more than 2 pounds of Italian meats in this puppy: salami, hot capicola, Italian sausage, prosciutto and pancetta. And about 3 pounds of assorted Italian cheeses: mozzarella, ricotta, and Parmigiano. And all baked inside a delectable, buttery, flakey crust! So many versions of Italian Easter Pie recipes! There are countless regional versions of Italian Easter Pie (Torta Pasqualina), each with their own unique way of preparing it. You might even find that within the regions, this recipe differs among towns and families as well! Of course, everyone believes that their recipe is the best! But that’s the way of Italian cooking! 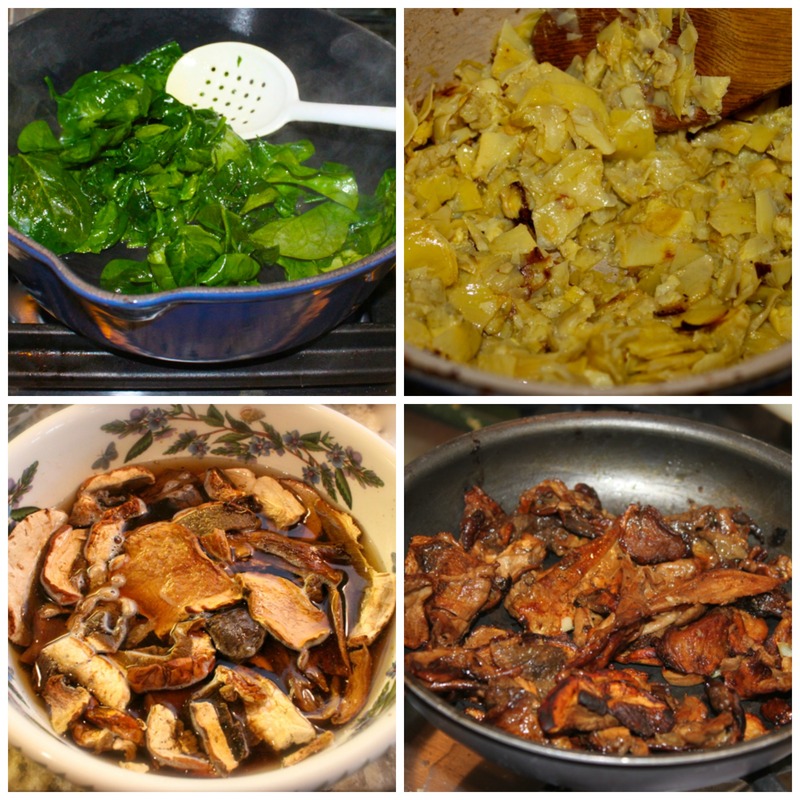 This recipe includes not only meats and cheeses, but also a lot of veggies as well: artichokes, porcini mushrooms, onions, spinach, Italian parsley, and of course . . . garlic! Italian Easter Pie is better when prepared a day ahead because it needs to rest for a minimum of 3 hours after baking. This helps you slice it better into firm pieces. Just re-heat it for a half-hour before serving so that it is warm. I don’t know about you, but I don’t want my cholesterol checked after eating a slice of this pie! Many countries celebrate Easter with recipes that include eggs . . . LOTS of eggs, and Italy is no exception. In Italy, large, sumptuous Easter pies or tortas made with eggs are traditional. Sometimes called “Torta Pasqualina”, “Pizza Rustica”, “Pizzagaina”, or “Pizza Chena/Piena” and is the first course served to break the modest eating, the sacrificing of certain foods, or the fasting during Lent. This meaty-cheesy-egg layered pie is a stellar, filled-to-the-brim, show-stopping celebratory dish and absolutely perfect for indulging in at the end of Lent. It is a traditional opulent dish that is meant to feed a crowd and to be enjoyed by many around the table on Easter when we celebrate the resurrection of Christ and His gift of salvation. Even though you might find recipes that only include meat, cheese and eggs, you’ll also find those that include spinach or artichokes or both, as I choose to do! Additionally, I like more eggs, more meat, and more cheese . . . not just one or two of each . . . but ALL of them! Some people prefer the meats and cheeses layered by slices, yet as in my version, many people like the meats and cheeses in tiny cubes. In addition, some enjoy their pie with a fluffy bread dough, while others insist on having a flakey pie crust . . . we like ours more on the bread dough side. I know that I wouldn’t like the whole eggs cooked in the middle as some include and I KNEW that my husband wouldn’t touch it with hard-boiled eggs inside. So my version has no ‘hard’ eggs inside. Some versions even layer the pastry inside along with the eggs, meat, and cheeses, with 12 layers being common to represent the twelve apostles of Christ. One thing that all of the hundreds of versions have in common is that they are all savory and not sweet. Prepare the pie 1 – 2 days ahead of Easter so that the flavors marry nicely and you won’t be so worn out that you don’t enjoy the holy day of Easter. During this time, the torta should be refrigerated, but on the day it is served, allow it to come to room temperature 2 hours before serving. Small slices are all that is required due to the heaviness of this dish; it is quite filling. If you have extra pie dough, you can also cut out a ‘cross’, or some ‘egg and/or flower designs’ to symbolize Easter, spring, and new life! Like frittatas, Italian Easter Pie/Tortas are so versatile in that they can be served warm or cold, and for any meal, breakfast, lunch, or dinner! Place dried porcini mushrooms in bowl of hot water to plump up for about 30 minutes, drain. In buttered saucepan, saute’ the mushrooms for 5 minutes. In separate large frying/sauce pan, in olive oil, cook the spinach for 2 minutes. In another sauce pan, in olive oil, cook artichokes for 5 minutes. In another small sauce pan, in olive oil, sauté garlic. Add all of these together, except the spinach, set it aside for the assembly of torta. In a large bowl, blend ricotta cheese, Parmesan cheese, eggs, whipping cream, and flour. 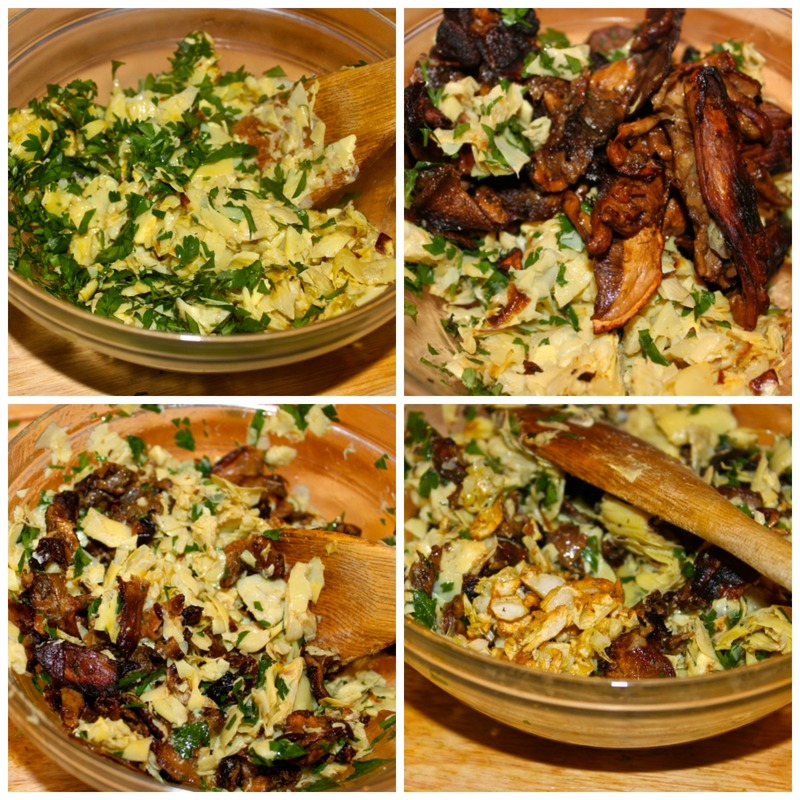 Add the mushroom, artichoke, garlic, parsley mixture to the cheese-egg mixture. Roll out pie dough so that it is wide enough to cover both the bottom and sides of the baking pan. Pour in about 2 inches of the cheese-egg-artichoke filling mixture. 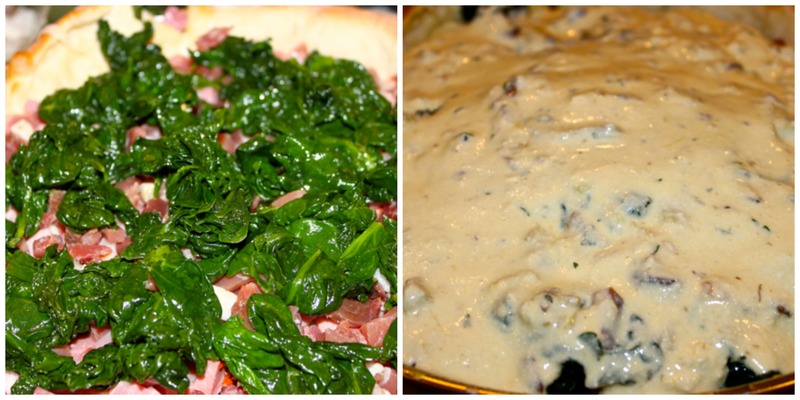 Remove from oven and alternate layers of remaining cheeses and Italian meats, except the mozzarella. Layer the cooked spinach on top. Layer the slices of mozzarella on top of spinach. 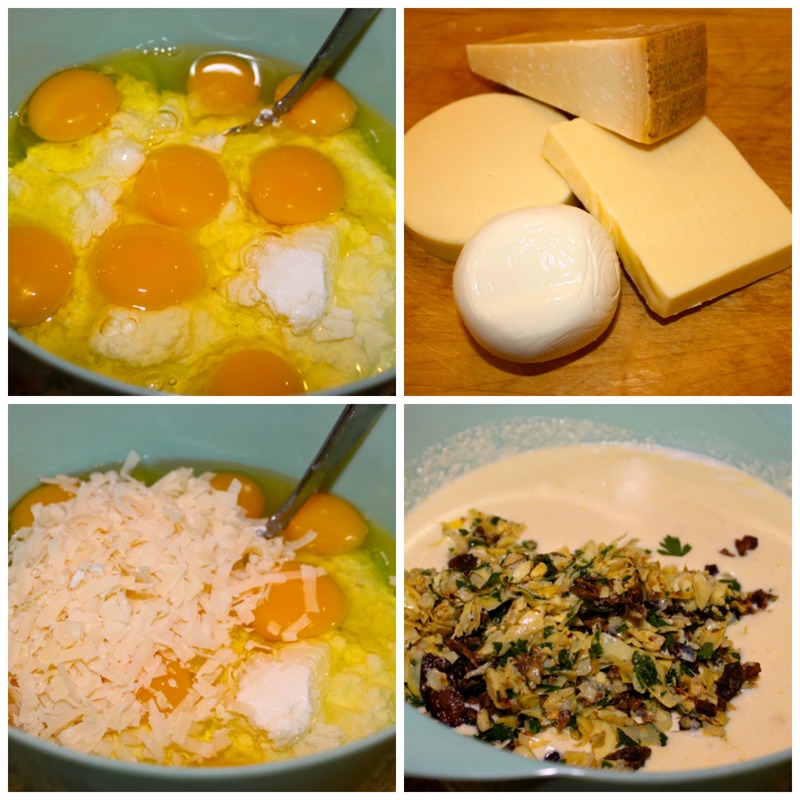 Pour remaining cheese-egg-mushroom-artichoke mixture over the meat and cheese layers. Place a top layer of pie dough on top and baste with an egg wash.
Bake for 70 – 80 minutes, using aluminum foil to prevent dough from burning. Adapted with several major adjustments to a recipe found on “The Italian Dish”. Chop up all of your ingredients ahead of time and have everything measured out and ready to go to cut back on time. As always, only use the very freshest Italian specialty ingredients. Be creative and add your favorite ingredients and deleting some of those in this recipe that you may not prefer. Adding chopped red peppers, for example, adds another layer of red pops of color. It is also common to have hard-boiled eggs inserted in the filling. Bake one day ahead of serving and refrigerate. Re-heat for about a half hour before serving so that the Italian Easter Pie is served warm. 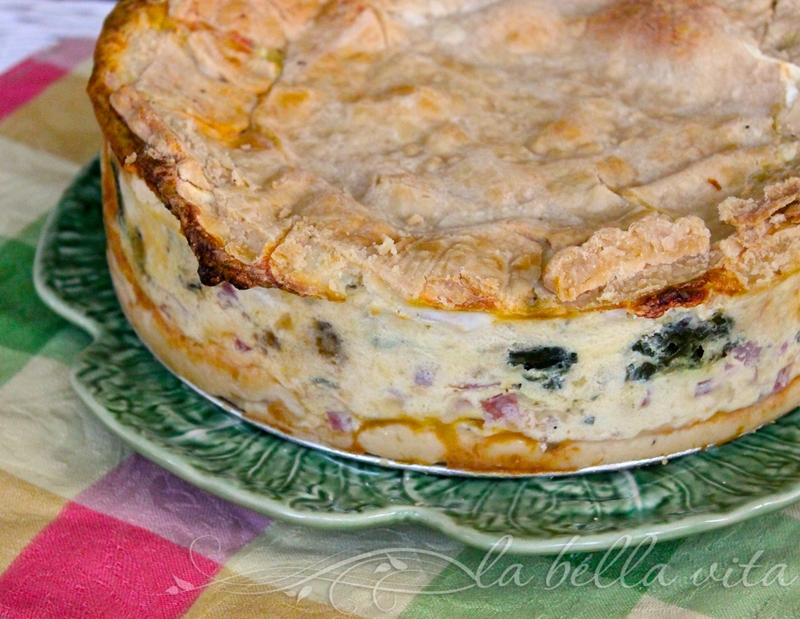 Enjoy this recipe for Italian Easter Pie Torta Pasqualina ! It sounds divine. These dishes are truly time consuming, but that’s just because there’s so much love contained in them! I hope you and yours have a wonderful family holiday and a magnificent feast. Oh, delicious, I’m sure! This is a must try, with all those good ingredients! Happy Easter to you and yours! I can’t wait to see the pictures, so I will be back. Your recipe sounds amazing! Thanks Jennifer, the photo was posted late because as Adri stated above in the first comment, this torta is very time consuming and a labor of love. I was exhausted! I love your banana-carrot cake muffins that prepared for Sunday Supper too . . . a perfect spring recipe! I’ve always wanted to try and make one of these! They just sound so delicious and really who can resist everything in it? I had though of making this pie for Easter Roz, I have always wanted to. Unfortunately I have no company this year so I would need to eat the entire pie myself. You see the problem with all this deliciousness. Looks divine! Beautiful!!!! Happy Easter! This looks beyond delicious, Roz. I can see this as a labour of love, and we love you for sharing it with us!!! What a gorgeous dish for Easter! A labour of love thats definitely appreciated! Oh, how I love all the versions of Italian Easter pie! I could eat one for days. My goodness, I can’t even imagine how good this is. I love big project, labor of love holiday foods like this. Thanks for sharing the recipe. Happy Easter to you and your family Roz. Wow. Just Wow! Amazing looking torta, and I’m sure it taste just as amazing as it looks. 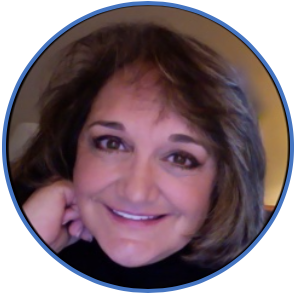 Thanks for sharing Roz! This Easter Pie looks delicious. It reminds me of Pizza Rustica (Pizza Ciena). Happy Easter. OMG! I wish I was at your house to enjoy a piece! Packed full of so many savory flavors — yummy! oh my goodness!!!! This Italian Easter Torta is absolutely stunning!!!! reminds me of a Eggplant and Pasta Incaciata (a similar Italian dish made in a springform pan)! The torta looks fabulous. 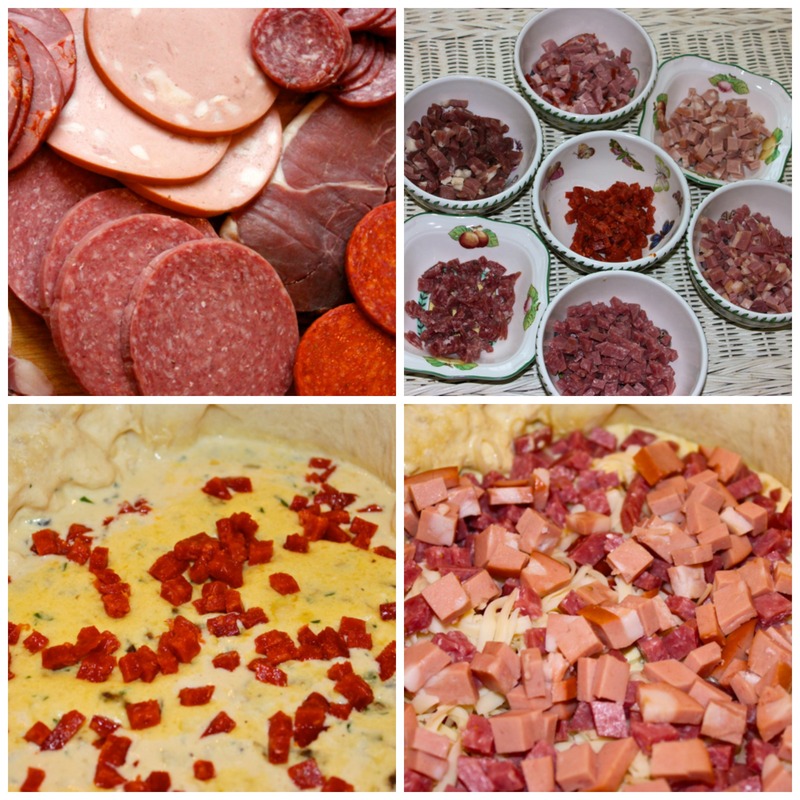 Our family enjoys a more simple recipe with only pepperoni and all those glorious cheeses. My cousin is responsible for our traditional Easter Pie. Wow, I’ll bet this serves a crowed, Roz! Well worth the effort for a special holiday or gathering. The ingredients list sounds so good! My family would go bonkers for this pie! If they see this recipe, especially the meats and cheeses, they’re going to want it. Tonight. okay this is not just any easter pie- this is the ultimate easter pie! I mean look at that filling, the heighth, the crust, the flavors! WOW! HI Roz! Hope you had a lovely Easter! We grew up with this pie and have fond memories of it. Your pie looks amazing! We haven’t had it in years. Whoa, that’s a whole lot of deli meat! Yum! Holy moly! Now THAT is a pie! Just reading that list of meats and cheeses made me hungry! An Easter pie has always been part of my husband’s Easter traditions. Since it is just the two of us now, we only make a small pie. I can’t wait to show him yours, as what he makes and his mother used to make had no vegetables. I think he will be inspired for next year. That is one heavy pie. It sounds fantastic, and truly indulgent. Hi Roz, This looks so delicious. My family is from Sicily and my grandmother and mother always made Pizza Rustica. I’ve made it many times though I haven’t made it in the last few years. Thanks for sharing your delicious recipe with Foodie Friends Friday Party this week. It brings back many memories. I’ve pinned and shared. My husband’s family calls it Pizzagaina. His mother used to make it in huge trays and passed down the recipe (or should I say a list of what she put in it) to my husband. We now make a small version for just the two of us. Italian Easter Pie – that’s a new one on me. Like all of your dishes, it’s absolutely beautiful. Look at all of the ingredients and flavors in this pie. It would take me at least 5 minutes to truly savoy each and every bite. Happy Easter Roz! Roz, this is such a nice twist on the Easter Pie I grew up with which was generally eggs, cheese and meat. The addition of the spinach, porcini and artichoke hearts is brilliant. Capo lavoro – wishing you and your family Buona Pasqua.